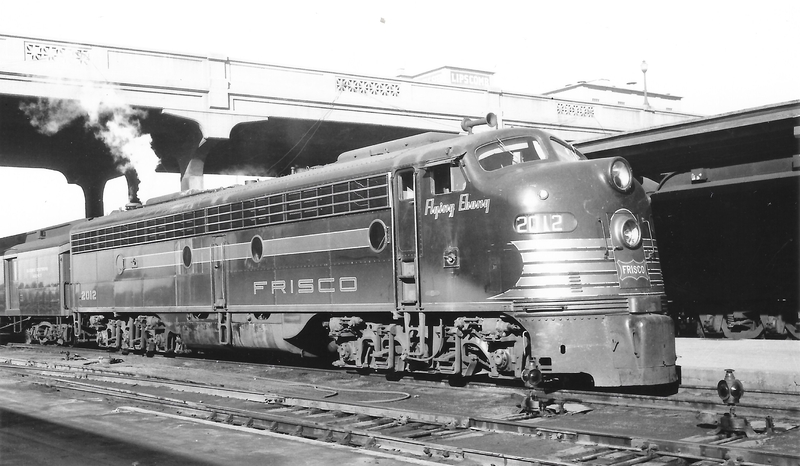 E7A 2004 at Tulsa, Oklahoma on July 4, 1947 (Arthur B. Johnson). 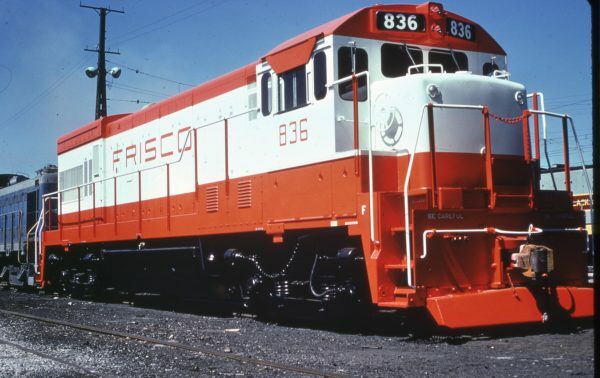 U30B 836 at Erie, Pennsylvania in August 1969. 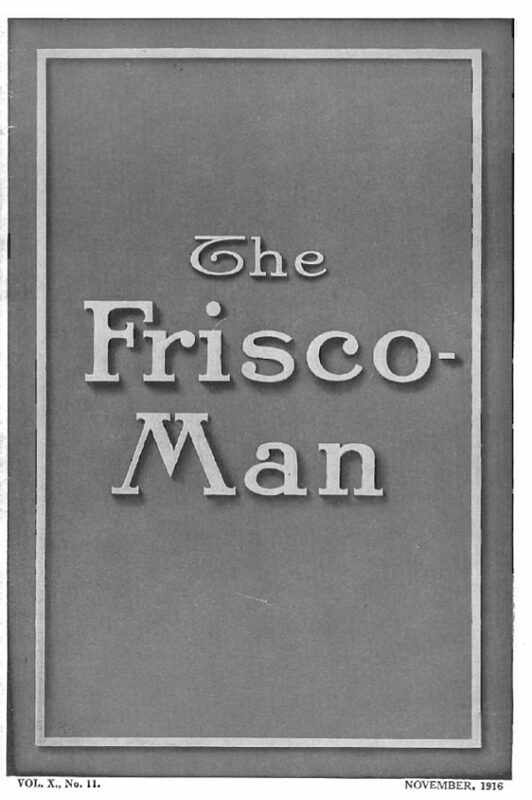 The Frisco-Man – November 1916. 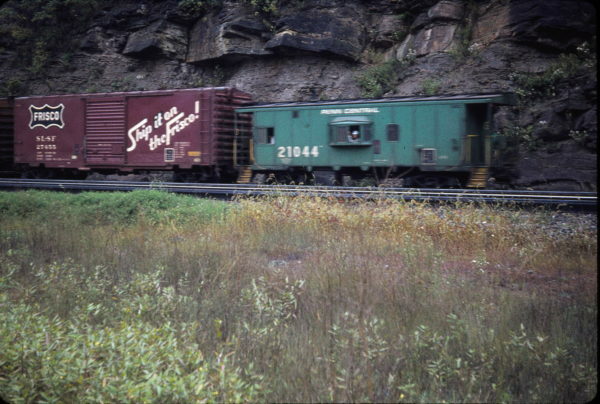 Boxcar 27455 and Penn Central Caboose 21104 at Horseshoe Curve, Blair County, Pennsylvania in September 1973 (Robert Newbegin). Caboose 1142 at Irving, Texas on September 6, 1980 (John Nixon). 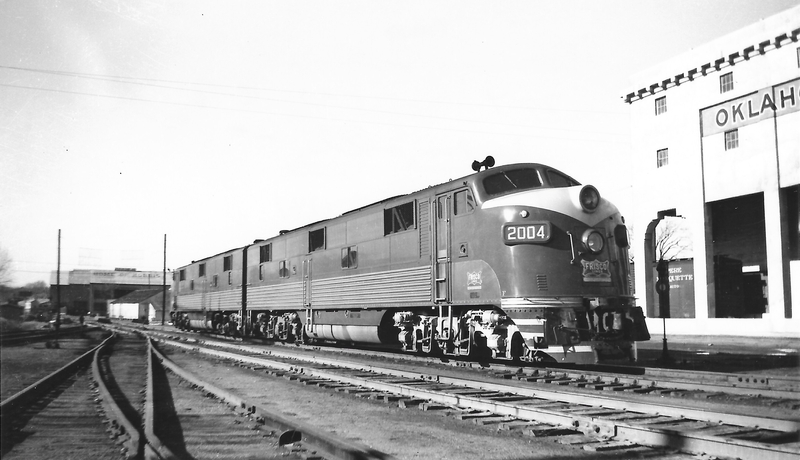 U25B 807 at Springfield, Missouri on February 10, 1962 (Arthur B. Johnson). U25B 807 at Newburg, Missouri (date unknown) (Blackhawk Films). The train is westbound in front of the east end of the Newburg depot, milepost 119.1. It is transitioning off the Rolla Subdivision (Lindenwood Yard to Newburg). After a crew change the train will run over the Lebanon Subdivision (Newburg to Springfield) to the next crew change point at Springfield, MP 239.7. 807 was originally constructed as General Electric demonstrator 756. 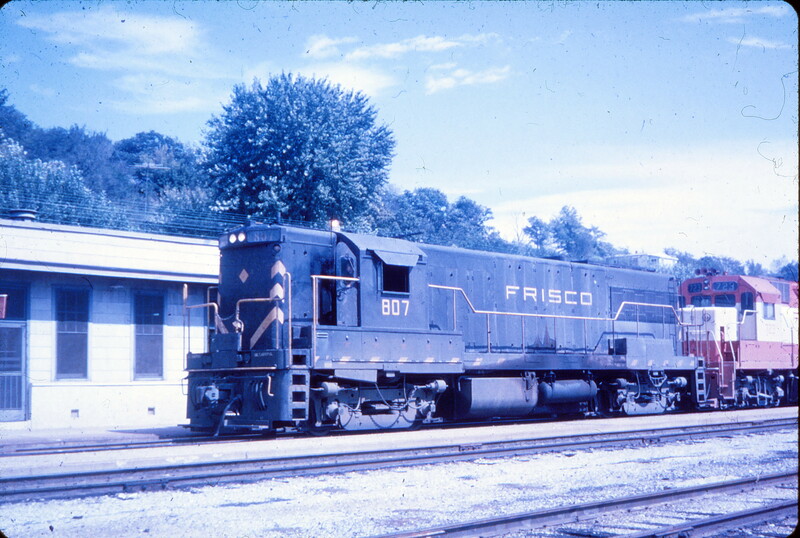 It operated as a demonstrator from February 20, 1961 until delivered to the Frisco as 807 on December 8, 1961. 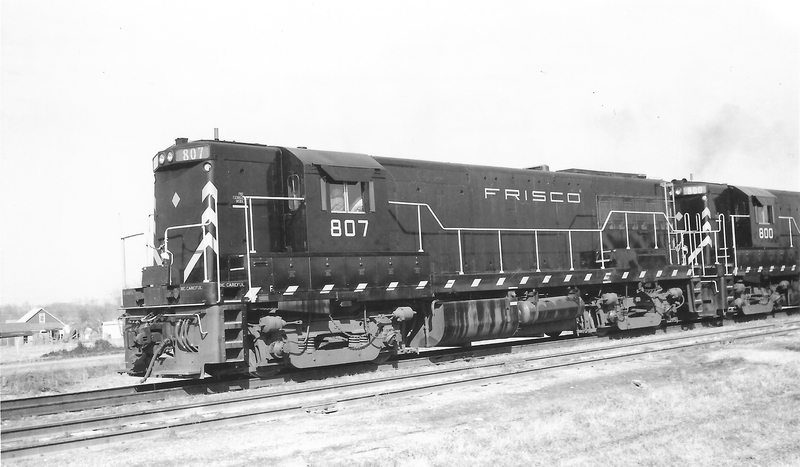 It was one of four former GE demonstrator units (753-756) sold and delivered to the Frisco (804-807). 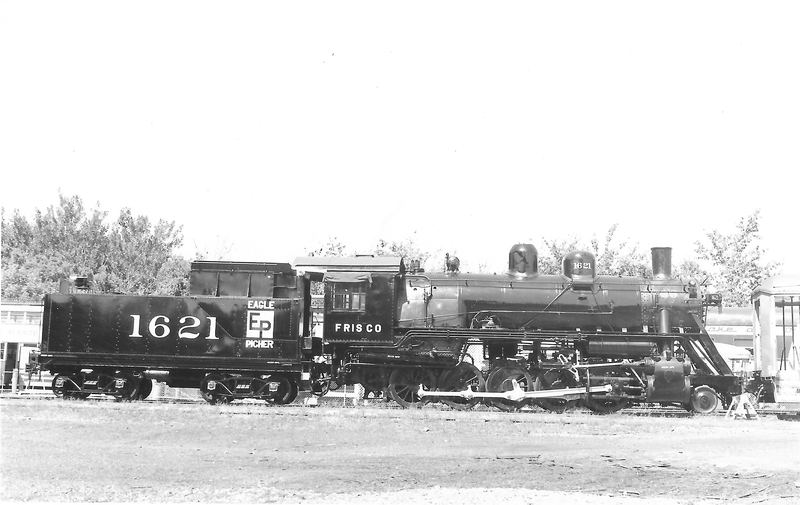 Also identified in the photograph in the locomotive consist is trailing Frisco unit GP35 723. 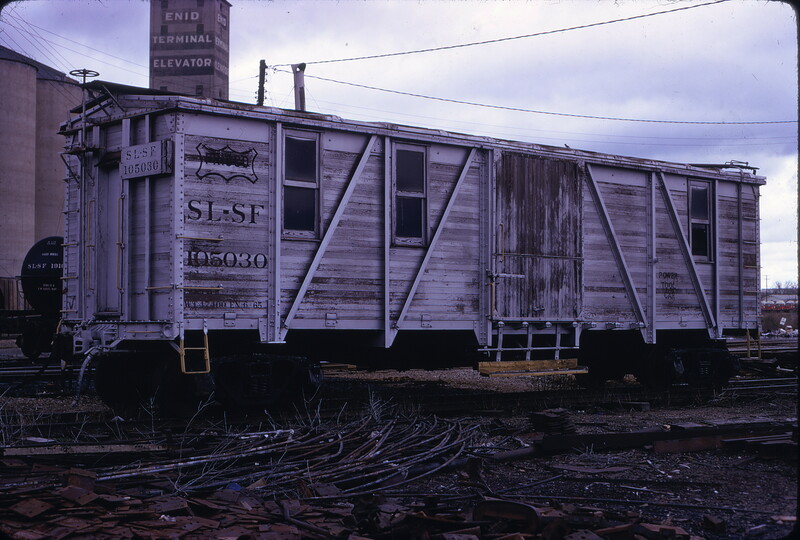 This unit was severely damaged on April 15, 1980, in a collision with a runaway cut of cars near the Red River Bridge north of Denison, Texas. Moved to Springfield, it would be the first Frisco GP35 to be retired and scrapped on May 15, 1980. 2-10-0 1621 (date and location unknown) (Postcard) (Richmond). 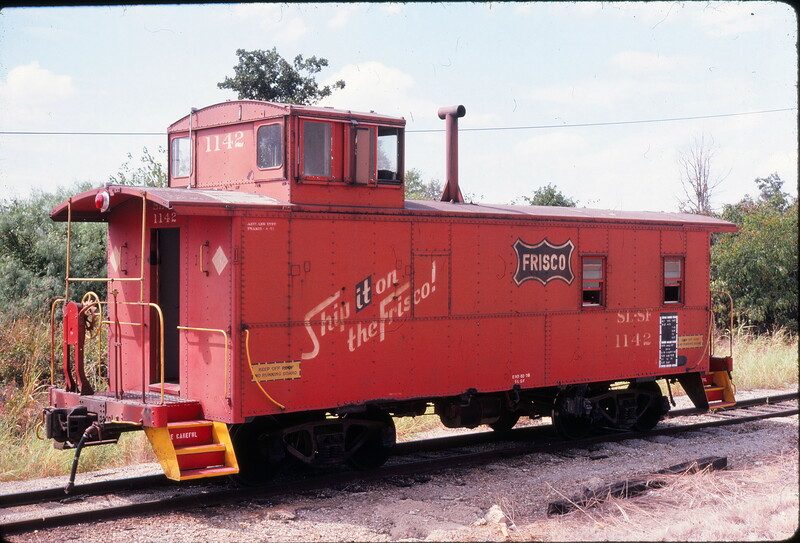 MOW Car 105030 at Enid, Oklahoma in August 1973 (Gary Ainsworth). E8A 2012 (Flying Ebony) on Train #20 at Springfield, Missouri on January 25, 1953 (Arthur B. Johnson).